Faber-ware 15 piece Stainless Steel Set Recommended? You Betcha! 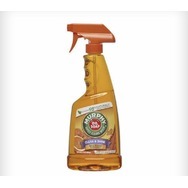 Pine-Sol Lavendar Clean All Purpose cleaner Recommended? You Betcha! Tressame Shampoo Recommended? You Betcha! Murphy's Oil Soap Recommended? You Betcha!